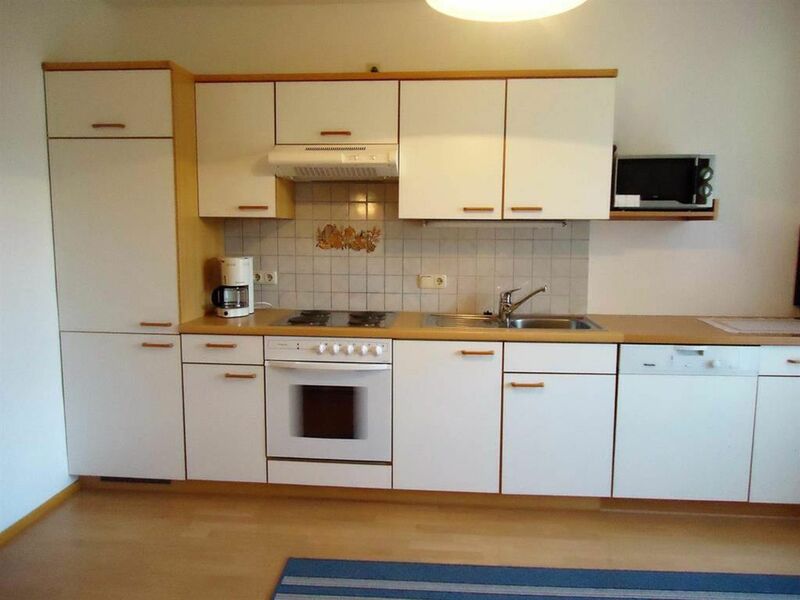 APARTMENT (2 - 4 persons) living-dining-kitchen with couch (extendable), 1 double bedroom with 2 Personenbzw. for 4 people another double room, each with shower / WC, balcony with seating. Please note that only 1 bedroom can be accessed from the corridor (see floor plan). Welcome to our family-friendly guesthouse, which lies between the unspoilt Hintersee and the deep green Fuschlsee. Our bed and breakfast, near the Mozart city of Salzburg, offers you comfortably furnished apartments for 2 - 5 persons. (equipped with electric stove, dishwasher, microwave, coffee maker, tea maker, toaster, ...) and cozy guest rooms with shower / WC and cable TV. Also a rich breakfast will be good for your taste buds. To recover from the stress of everyday life is our large green area or Lawn with barbecue available. Our little guests can let off steam on the playground with sandpit, swing, trampoline and slide. Whether for hiking, cycling or swimming - our house is an ideal starting point for this. Sufficient parking spaces and 5 carport parking spaces for cars are available for our guests free of charge!